sheep parade, originally uploaded by jahansell. I have got to get out this weekend and pay a visit to my sheeply friends - they recently had a serious haircut and I want to admire their new do! 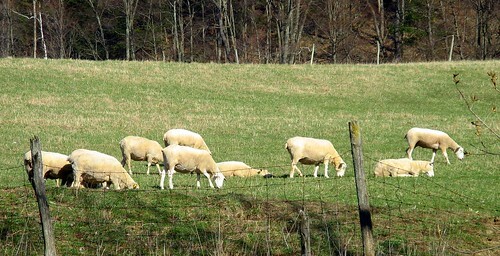 This was taken of the Pine Hill Farm sheep, from afar! I bet they feel better! I wonder what their wool will be used for.